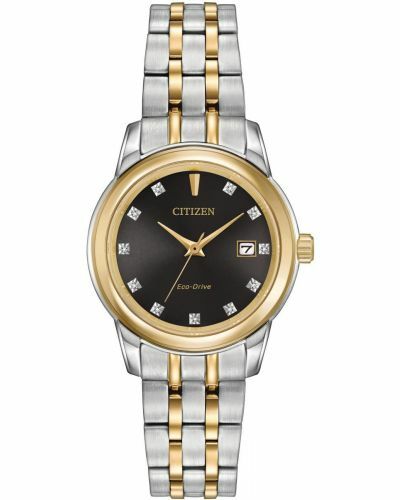 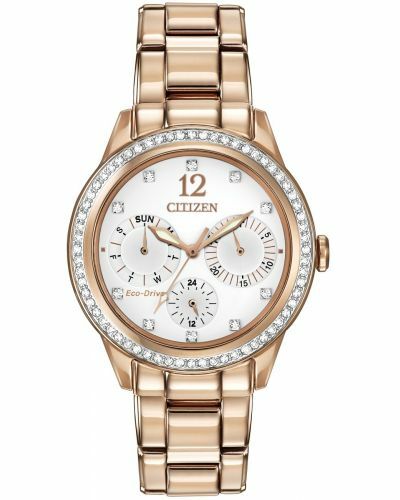 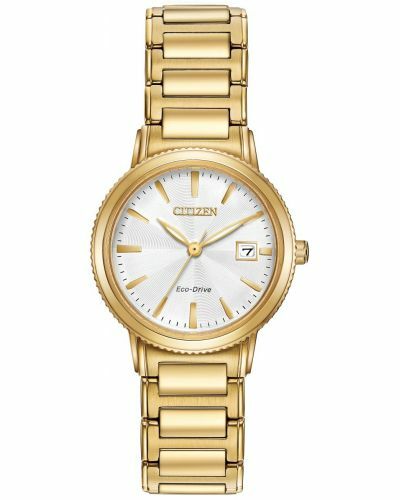 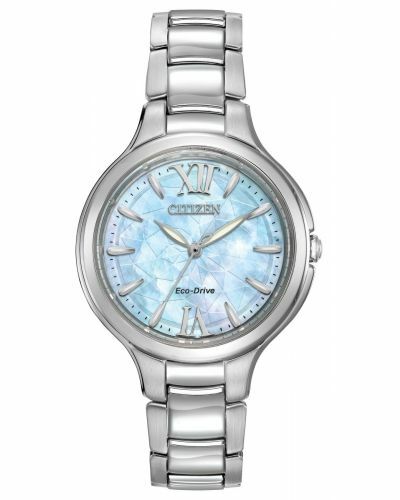 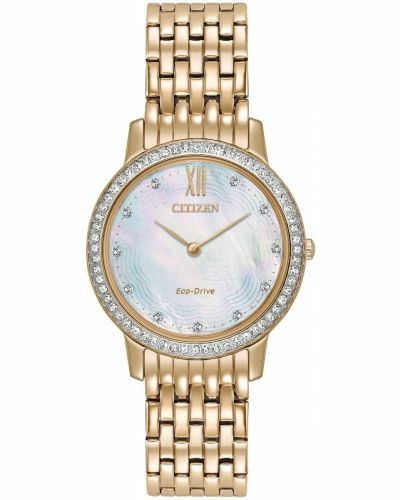 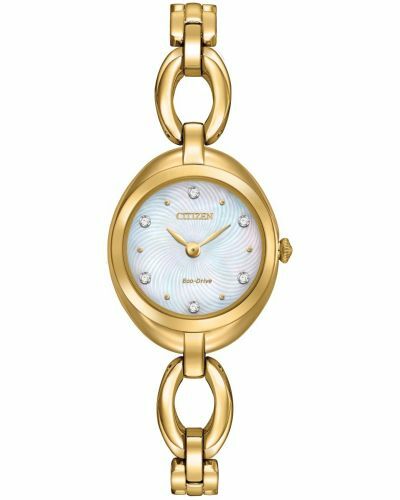 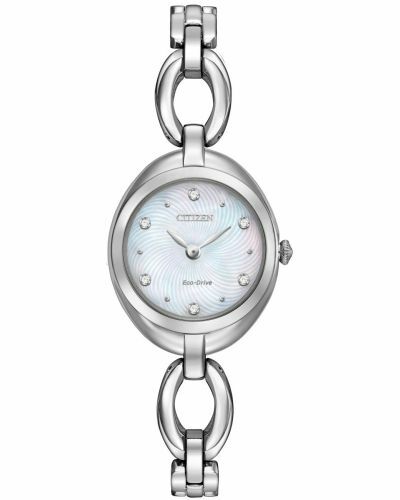 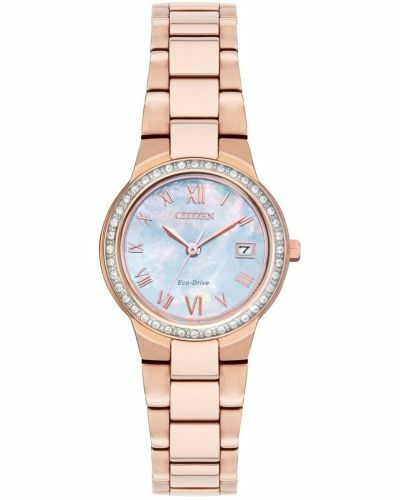 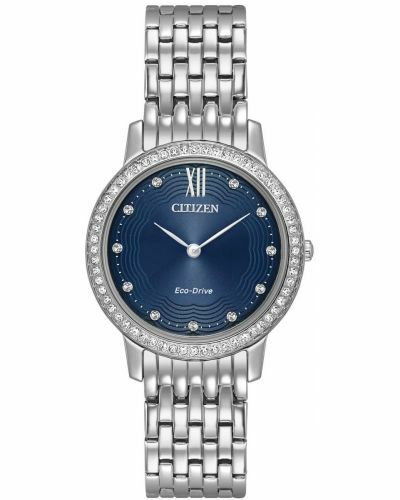 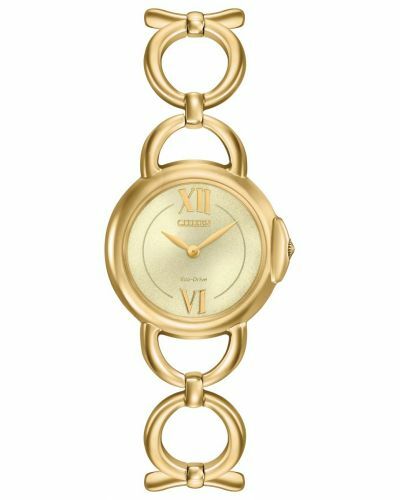 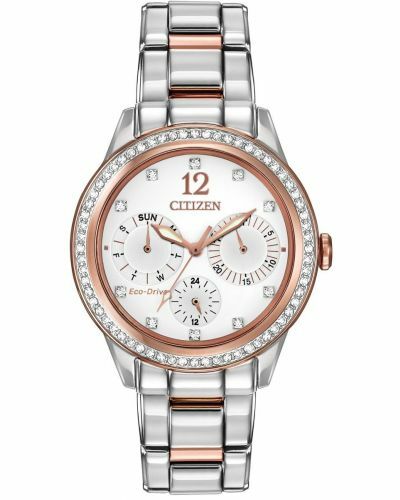 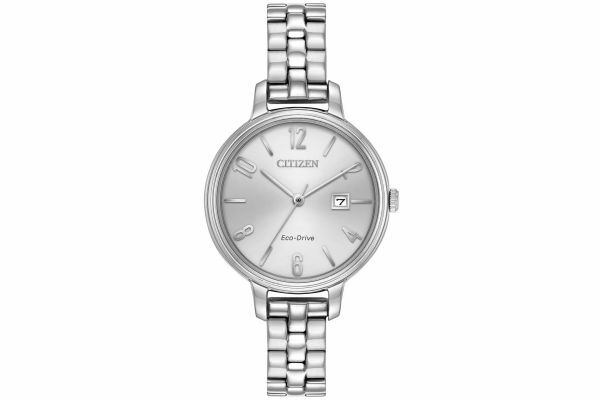 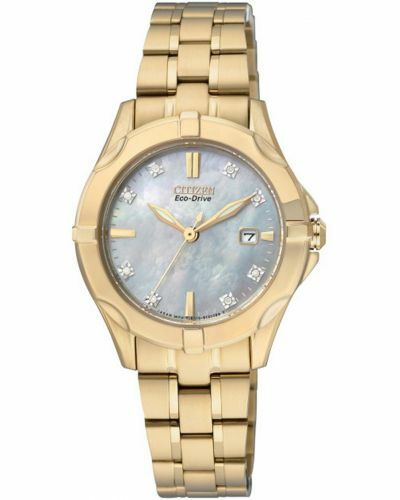 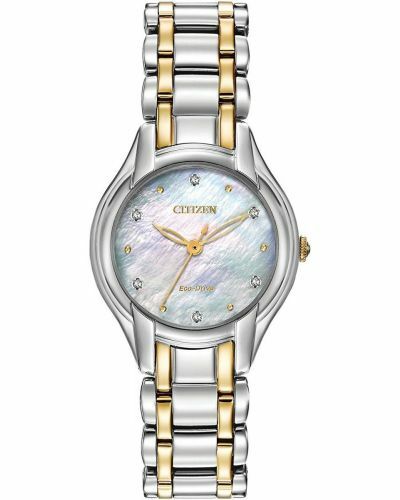 A simple and stunning womens watch, this Citizen Silhouette has a slim link bracelet in stainless steel with an oversized round case. 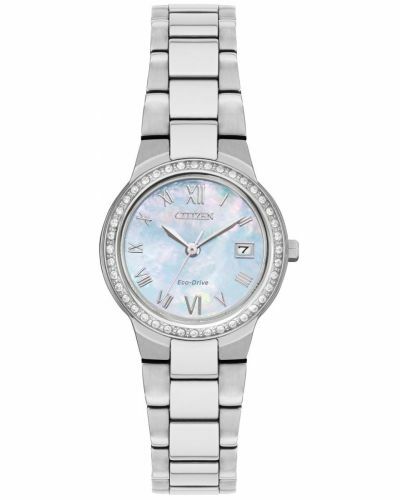 The dial is silver with silver indexes and the handy date function at the 3 o'clock position. 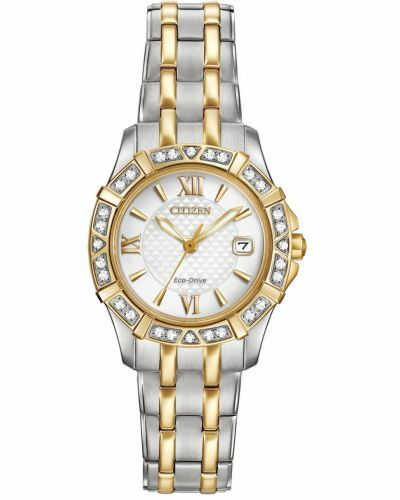 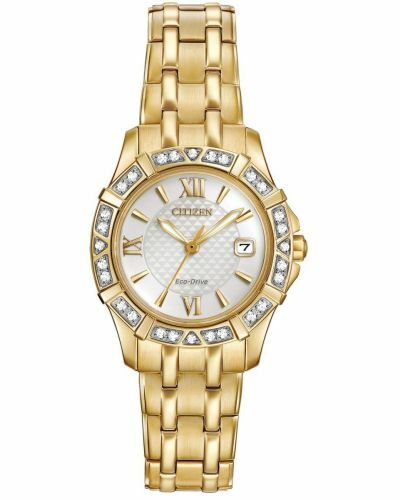 This watch is the perfect piece to take any lady from day to night for any occasion and outfit. 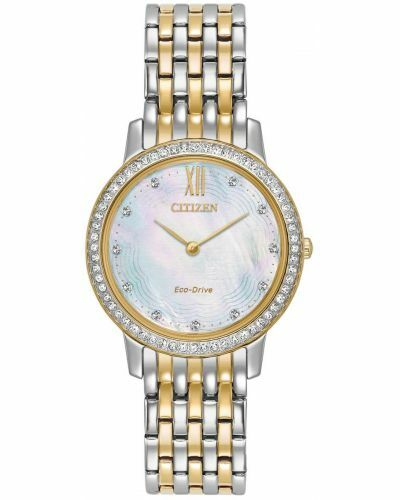 This watch is powered by Citizen's Eco Drive Technology and comes with a 5 year guarantee with optional additonal cover.